One of my all-time favourite models is the late eighties and early nineties African-American phenomenon Karen Alexander. 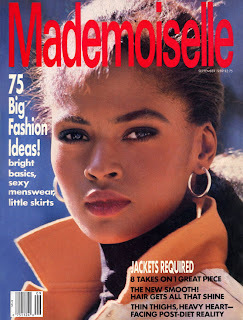 The New Jersey native began her modelling career at age sixteen, by knocking on doors at modelling agencies in New York only to be deemed "unphotogenic" by Eileen Ford, not "commercial" enough by John Casablancas, and "too commercial" by Bethann Hardison. Alexander was eventually signed by the now defunct Legends Agency and went on to to enjoy a prolific modelling career spanning over two decades. Alexander formed part of a select clique of supermodels who were able to make the transition from the high fashion runways into the public's mainstream consciousness. 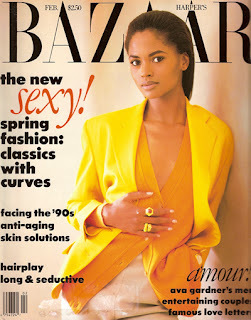 Alexander's exquisite, exotic looks and athletic physique were sought after by leading designers, fashion editors and photographers of the day, landing her in the pages of and more importantly on the covers of American Vogue, Harpers Bazaar, Elle, Mademoiselle, Glamour, and Mirabella. Alexander's cerebral beauty was captured by many of the industry's greats including Steven Meisel, Patrick Demarchelier, Gilles Bensimon, Peter Lindbergh, Annie Leibovitz and Herb Ritts. 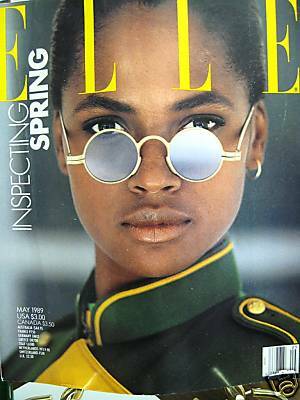 Even at the height of her success however Alexander was acutely aware of the industry limitations imposed on her as a result of her skin tone. In an interview with American Vogue in 1991, Alexander reveals "I really don't have the same modelling options of, say, Cindy Crawford or Christy Turlington - although I don't mean to single them out. 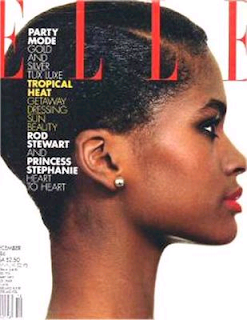 My agency will say, 'Oh, they aren't using a black girl.' Eight years later it still hurts. It comes down to the issue of, What is beauty? That's the challenge to the national aesthetic." Alexander's extensive resumé includes campaigns for Cover Girl, Tiffany & Co, the GAP, and Chanel's Allure fragrance. Campaigns aside, it is Alexander's two consecutive appearances in the Sports Illustrated Swimsuit Issue and her turn in the Pirelli Calendar lensed by Herb Ritts, which launched her as a household name. 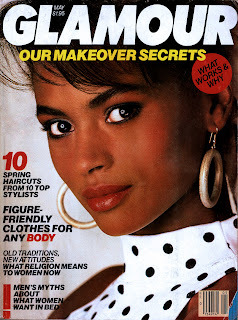 In 1990, Alexander consolidated on her mainstream appeal by landing on People Magazine's inaugural list of 50 Most Beautiful People. Looking at images of Alexander, it's hard not to be distracted by her compelling beauty, her humility and the intelligence that seems to emanate from her penetrating gaze. For Alexander, her appearance on People Magazine's Most Beautiful List has particular significance, "You know, I never thought I was the least bit beautiful until I was pregnant. I was the ugliest child, skinny, tall, really horrific. When I started working I never believed anyone who said I was pretty. If I was so beautiful, then why did it take over two hours to do my hair and makeup. Until I was pregnant I felt like an impostor waiting to be found out." Alexander, now the mother of two - Ella and Zora, looks at the bigger picture when speaking with American Vogue, "My daughter is a black American Polish Jew. Who is she going to look up to at the cosmetics counter? 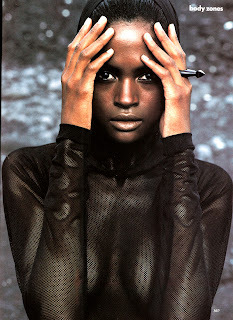 Naomi Sims or Revlon? Who is going to appeal to people like my daughter, who is basically a mix of everything? She's multi-cultural. As far as Ella is concerned, if I do my job right, when she looks at black women she will see beauty and strength. In other words, a face is a face is a face. And beauty is beauty is beauty. Any other dissection is insane." Alexander's indelible imprint on the modelling world has broken down barriers and paved the way for greater opportunities for models of colour. One need only glance at Vogue Italia's Black Issue featuring a radiant Alexander shot by Steven Meisel or Annie Leibovitz' stunning 2001 Vanity Fair portrait of modelling's leading black models for evidence of Alexander's enduring legacy.